A trained Labrador is an excellent companion animal. The most popular breed in the United States, the Labrador retriever’s gentle, playful demeanor and intelligence have earned it a place in many family homes. 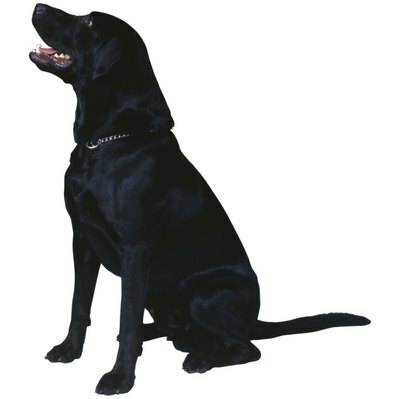 Whether a companion or a working animal, Labradors are eager to learn and please their owners. Training your Labrador is important for the well-being of dog and human alike. Labrador retrievers respond best to positive, consistent, reward-based training methods. Keep the following tips in mind as you work on training your Labrador. Though an obvious point, the fact that dogs aren't people is something many owners tend to overlook. You can certainly make the analogy between dog training and child rearing, but when it comes to practical application, try to appreciate the many differences your Lab has in instinct, physical senses and attention span. Importantly, dogs lack reasoning and language capability, so don’t bother trying to explain what you are doing -- show them. Labradors are also distinct among dog breeds for their outgoing and excitable personalities. Make sure your training environment is free from distraction. Let’s work with the most common command – “Sit.” Before you begin, clear away any distraction and make sure both you and your Lab are focused on each other. Have some small, tasty treats in hand. Decide on a hand signal (a closed fist with palm toward the floor is common) and show it to your Lab while saying “sit” in a firm voice. Gently push down on your Lab’s lower back until he is in a sitting position. Immediately give a treat and praise with a pet on the head and “good dog.” Repeat. Your Lab wants to trust and respect you. When training, keep your energy level high and positive. If you are grumpy and easily angered during the training session, nothing good will come of it. If you become frustrated and yell or lash out at your Lab, he will eventually become fearful and distrustful. It’s better to skip or end a training session early than keep going when upset. Training sessions shouldn’t be longer than 10 minutes. Your Lab’s attention span is short, especially if he is still a puppy. Keep a schedule and try to do four to five 10-minute sessions a week. Reinforce commands outside of scheduled trainings during feeding times or walks. Being consistent in training is very important. Don’t mix signals and commands, and don’t praise before your Lab has completed the command you have given. Do not overuse commands or use them when you can’t control the situation. Your Lab will learn to ignore confusing, overused or inconsistent commands. Socialization to other people and dogs is vital, especially for puppies and young dogs. Have your Lab meet and interact with as many people and other dogs as possible so he learns what is acceptable behavior. Do Labradors Need a Lot of Protein?